So you think you want to be a psychological scientist? Well, the first step is applying to graduate school — a long, but exciting, process! To be a competitive applicant, you’ll want to have been involved in research, which is the reason many people pursue graduate school in the first place. It’s typical for applicants to have 2 to 3 years of research experience before applying to graduate school. Some gain that experience by working full-time as lab coordinators or research assistants after graduation; others get involved in research early in their undergraduate education. It’s also becoming increasingly common to take a gap year or two to continue working in a research lab before applying to graduate school. Outlined in this article are some questions to consider and strategies to implement when you begin the process. What kind of graduate program do you want to pursue? If you realize you enjoy research and want to continue doing it, the next major question to ask yourself is: What do you want to study? Based on your coursework, prior research, and other relevant life experiences, you will want to decide which discipline within the psychological science field you would like to pursue. That decision likely will be based on your specific interests, but you also might consider the type of training you would like to complete. The specific direction you decide to go in also may be influenced by a particular methodology or approach that you want to learn and use. How do you choose where to apply? Unlike students applying to undergraduate programs, most graduate school applicants base their decision about where to apply on whether there is a faculty member with overlapping research interests at that school. I knew when applying to graduate school that I wanted to research schizophrenia and other psychotic disorders, so I applied only to schools where I knew someone was doing such research. After you have compiled a list of schools and professors whose research you’re interested in, I would highly recommend emailing those professors in the early fall — not only to introduce yourself, but also to ask if they plan on interviewing and accepting students to their lab the following year. You may be a competitive applicant, but if the professor you want to work with isn’t accepting students, you likely won’t get very far in the admissions process; thus, emailing professors before submitting your application can save both time and money. After you hear back from professors who will be accepting students from the upcoming application cycle, I would recommend narrowing your final list to about 10 to 12 schools. Your list might be somewhat smaller if you’re geographically limited. As soon as — or even before — you have your final list of schools, you should email professors, advisors, research mentors, and anyone else from whom you would like a letter of recommendation. It’s best to contact your letter writers as early as possible; professors get numerous requests to write letters, so they often have a lot on their tables. After my contacts agreed to write recommendations for me, I provided them with a packet of my application materials (i.e., a draft of my personal and/or research statement, CV/résumé, and transcript) for their reference while they wrote my letters. You may even want to encourage your letter writers to speak to certain aspects of your application (e.g., research experience, conference presentations) to make sure they are emphasized. 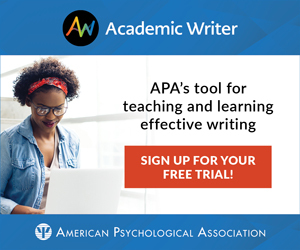 You even could consider asking your letter writers to briefly discuss apparent weaknesses in your application (e.g., a lower grade in a relevant course or lower GRE scores) and then follow up with why your strengths compensate for the weaknesses. Several faculty members who review applications have told me that they are impressed when applicants address their potential weaknesses. Of course, you want to keep this brief and focus on emphasizing your strengths. Check in with your letter writers a couple of weeks before the application deadline to see if they have any questions regarding your application, and also to make sure your letter hasn’t become lost in their huge to-do list! As you wait for your letters of recommendation, continue to work on the rest of your application. Seek feedback on your personal and/or research statement(s) from as many people as possible. There’s a particular benefit to having friends or family members who do not have backgrounds in psychology read your essays for clarity, organization, and flow. When you are finished, check the policies of the schools you are applying to: Many schools allow you to submit your portion of the application before your letter writers have submitted their recommendations. Continue to monitor whether your schools have received your GRE scores and transcripts. Once everything is in, celebrate! Go out to eat at your favorite restaurant, see the movie you’ve been waiting to see, or do something else to reward yourself for your commitment and time. At this point, everything is out of your hands, and all you can do is wait to hear back from the schools. Starting around January, you hopefully will start to hear back from some of the schools you applied to, requesting that you visit for interviews. Going on interviews can be expensive, so be sure to budget and plan ahead. Some schools will provide some financial assistance — usually reimbursements — toward your expenses, but rarely are they fully covered. Preparation for interviews includes reading the latest papers of the professor you’re applying to work with and generating a list of questions to ask faculty and students. Most importantly, always ask questions, even if you’ve already asked the same ones several times of other people. If you don’t, people will assume that you’re not very interested in the program, and it could hurt their perceptions of you. American Psychological Association. (2016). Graduate study in psychology. Washington, DC: APA Books. American Psychological Association. (2007). Getting in: A step-by-step plan for gaining admission to graduate school in psychology (2nd ed.). Washington, DC: APA Books. Norcross, J. C., & Sayette, M. A. (2016). Insider’s guide to graduate programs in clinical and counseling psychology (rev. ed.). New York, NY: Guilford Press. Derek M. Novacek is a fourth-year graduate student in the clinical psychology program at Emory University. His research focuses on identifying clinical and biological risk factors in youth who are at clinical high risk for developing psychosis. He can be contacted at derek.novacek@emory.edu.